Querari’s progeny continue to build on the success of their sire as the season progresses. 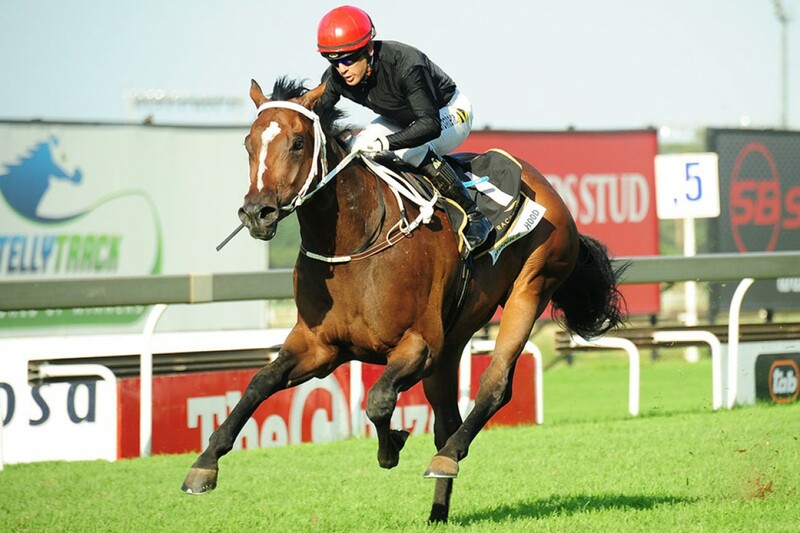 Whilst his soon to be exported star son, Monks Hood, was a much-missed absentee from the line-up of Turffontein’s Gr.1 SA Classic, the sprinter Pinnacle Peak went a long way to filling that void with a visually impressive maiden stakes success in the Gr.3 Man O’War Sprint up the straight. The three-year-old gelding, who was acquired privately as a weanling by owner John Finlayson, made virtually all and despite hanging badly – he traversed virtually the entire width of the track – ran away from the opposition to score by daylight under birthday boy Carl Zackey. In addition, Pinnacle Peak’s victory provided trainer Dorrie Sham with a significant milestone in her career, as he is her first Stakes winner since she relocated from Port Elizabeth. With two wins and a fourth from as many Gauteng starts, it would not be remiss to state that her charge has taken to the Highveld like the proverbial duck to water! Pinnacle Peak is Querari’s fourth Stakes winner of the season and was bred by Narrow Creek Stud’s John Everett out of Maine Chance bred mare Pinnaquin. By Count Dubois, Pinnaquin was placed once from just two starts as a juvenile and is a daughter of our German import Pailita (Monsun), who also produced Gr.3-placed Paolo. As fate would have it, Everett’s purchase of Pinnaquin at a broodmare auction has turned out to be a shrewd one, considering she was carrying Pinnacle Peak at the time! Adding to Saturday’s Stakes success, Querari’s smart juvenile daughter, Dagmar, returned from her debut win in the Listed Ruffian Stakes in March, and notched up a Gr.3 placing when she ran second in the Pretty Polly Stakes.